I recently had the pleasure of losing a bid for a potential client’s special event entertainment. The “pleasure of losing”? Well, I say “pleasure” not because I enjoyed failing to close the deal, but because the client had the courtesy to actually let me know that although they enjoyed the presentation, our music services would not be needed at this time. As a vendor, who has conscientiously provided estimates, taken meetings, brainstormed ideas and sent materials regarding possible events, I appreciate knowing the outcome of a client’s decision (especially when solicited by the client to begin with). No having to guess the status of a particular event, or wasting time on unreturned messages or emails. However, modern communication has enabled buyers to shop the Internet casually and at will, building up a long list of potential vendors to inquire to. The resulting backlog of disqualified suppliers can make it a daunting task for buyers to follow up with messages of polite no-thank-you’s. And, most people dislike being the bearer of disappointing news—whether it involves a business pitch, a contest or a personal relationship. Voice-mail messages aren’t a sure thing, since the rejectee might actually pick up the phone. So, modern communication can also minimize the discomfort of this process. Person-to-person can be replaced by emails, texts or even a brief note (so last-century, but still practiced in certain remote areas of society), which lets the supplier know his efforts were appreciated, even if not ultimately resulting in a go-ahead. I make a point of thanking those who communicate back for their thoughtfulness. It’s often a breath of fresh air in my—or any—business. Of course, I prefer the pleasure of the RSVP Orchestra getting to perform for a client’s event. But if it’s not meant to be, I will take the pleasure of their courtesy as the next best substitute. “Canned” music is totally inappropriate for a noteworthy social or business event, of course, but the fact remains: music is a key—often subliminal—component in setting the tone in social settings. Planning a moderate to large-scale event, a client will occasionally suggest dispensing with live music for cocktails or dinner, thinking that since it’s background music no one will “hear” it. That’s correct, if coming from ceiling speakers in a busy room. But well-played live music adds a subtle, positive ambience in these social settings—an effect that you may not notice when it’s there, but that you would miss if absent, like my department store visit. Your guests’ mood will be enhanced by the right live music as they first arrive and throughout the early part of the evening, in the same way that a delightful appetizer primes your palate for the main course to come. It’s part of the wonderful mystery of music that I posted about previously (click here). Whether a romantic Cole Porter song or upbeat Jason Mraz tune, played by an elegant string ensemble or a cool jazz trio, music in the early stages of a party plays as important of a part as the rockin’, off-the-hook dance music coming later. And the presence of “real” performers gives the music a sense of immediacy, even if not elevated on a stage. Sooner or later, your guests will pass by the musicians, and appreciate the thoughtfulness of their host in providing live music for their enjoyment. Music doesn’t have to be “in your face” to work its magic—setting the desired mood for what’s to come is one of its many charms. A wedding ceremony music trend we’re seeing more of: live jazz! It’s different, fun and in the right hands totally appropriate. A jazz trio or quartet is not unusual for cocktail and/or dinner music, but at a venue where the ceremony is the same location as the reception, a jazz group can provide a livelier, uplifting atmosphere to the nuptials, and then seamlessly kick it up a notch for the reception immediately following. I recently led a jazz quintet (sax, trumpet, keyboard, string bass, drums) for a beautiful wedding at Chicago’s River East Art Center. The bride and groom had wanted a little bluesier, jazzier, less traditional feel in their music. Coordinated by our friends at Big City Bride, the pre-ceremony featured mellower jazz and pop tunes like “It Had to Be You” and “I Will”. The ceremony included “You Are the Best Thing” for the groom, “Something Tells Me I’m into Something Good” (bridal party), and “Can’t Take My Eyes Off of You” for the bride. Following the ceremony, livelier jazz and pop tunes like “If I Were a Bell” and “Afro Blue” created a celebratory, upbeat vibe for the couple and their guests. Tasteful song planning was called for here—wild bebop jazz excursions during pre-ceremony would have been too jarring for the guests’ arrival. I felt we needed to set a respectful (but not dull) tone for the crowd—a few of whom were a little taken aback at first by the sound (and sight) of a jazz quintet at a ceremony. But we won them over and created the right mood for the proceedings—fun and celebratory, yet acknowledging that this was an important, special day. Using professional musicians (not students or club players) ensured that the music would have the right tone at the right time—a subject I’ve touched on in my previous blog (click here). In the hands of pros, live jazz or popular music can allow brides and grooms to more fully express their unique personality and special love for each other, and can be a pleasant surprise for their wedding guests! “Writing about music is like dancing about architecture,” according to Martin Mull. So we’ll set aside artistic discourse for the moment and focus on a more practical matter: professional vs. amateur performers (i.e. “expensive” vs. “cheap”). These days (and just about any day), costs are a major concern in planning an event. Music being one of the hardest items to quantify, the temptation can be to see how inexpensively musical services can be acquired, from wedding ceremony music to dinner/dance entertainment. A student-led string quartet, a friend or relative who used to sing in college, the local bar band that plays every Friday—these are tempting resources to tap. Their prices are going to be easier on the checkbook than the professional performer who needs to charge accordingly to make a living being a professional. However, being a professional musician involves more than having talent. Amateur or semi-pro performers can be just as gifted (and occasionally more so) than professionals. However, an awesome performance in a bar, at the karaoke machine, or in the shower may not translate to a seamless, confident performance when the pressure is on within the structured, formal expectations of a social event like a wedding or a gala. 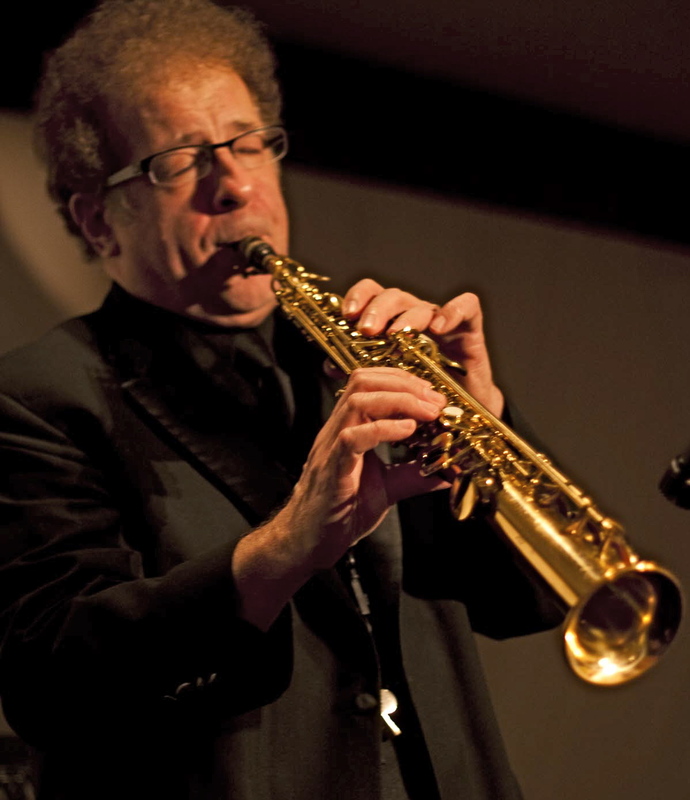 As a professional bandleader, gauging the vibe of a crowd, programming sequences of songs that flow together and fill the dance floor, and projecting confidence and enthusiasm onstage while being attentive to my client’s needs offstage are all vital aspects of my work—not to mention playing my own sax part! Plus, a ceremony postponed by the delayed arrival of key bridal party members, a guest becoming gravely ill on the dance floor, or a prerecorded audio-visual presentation breaking down are only a few examples of unforeseen events that I have personally handled deftly and with a minimum of fuss by adjusting our music to the needs of the unexpected moment. Think of professional musicians like an insurance policy—you buy insurance for your car, home or health, hoping not to need their benefits. Above and beyond playing the “right notes”, experienced pros have the savvy and flexibility to help smooth over unexpected events that might otherwise interrupt or distract from your guests’ enjoyment of the celebration—a cost worth investing in. You may be blessed with an event where cost is a minimal factor. But for events that need fiscal prudence, how do you balance costs with creating a memorable event with music? I’ll share more thoughts with you in our next blogathon! In the meantime, Jennifer Silk, Chicago’s favorite strolling violinist (and coincidently my talented wife), has an interesting personal perspective on this topic in her blog “The Strolling Violinist presents…” Click here to enjoy her blog entry on this timely subject. Loving music, as a professional…and a fan! Welcome to my new blog, written by a musician and full-time bandleader who has played professionally since high school, yet still approaches every performance and recording session with the enthusiasm of a music fan! I hope to share with you ideas how to make your special occasions more festive or meaningful with music, pitfalls to avoid, stories of performances good and bad, and observations about the music “scene”. Music has an elusive, magical quality that affects no two listeners the same, which makes it all the more mysterious–and to some people, intimidating–when planning an event or creating a mood for a recording. In future posts, I hope I can alleviate the intimidation factor, while keeping in a little of the mystery and magic that makes music such a vital component of any successful celebration or presentation! Please visit www.RSVPorchestra.com and www.jcbigband.com for examples of some of my live music endeavors.